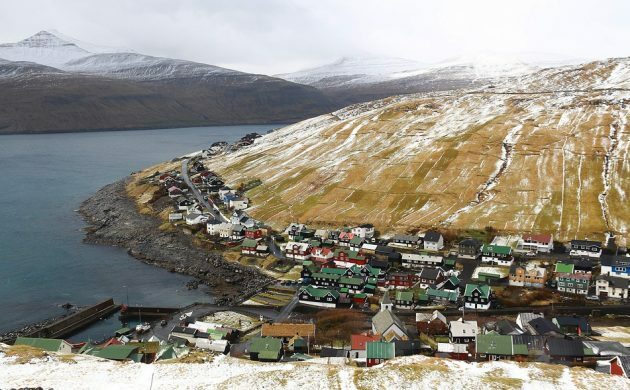 Despite its northerly location in the North Atlantic Ocean, temperatures on the Faroe Islands never tend to drop too low thanks to its close proximity to the Gulf Stream. But they have never been this high before! 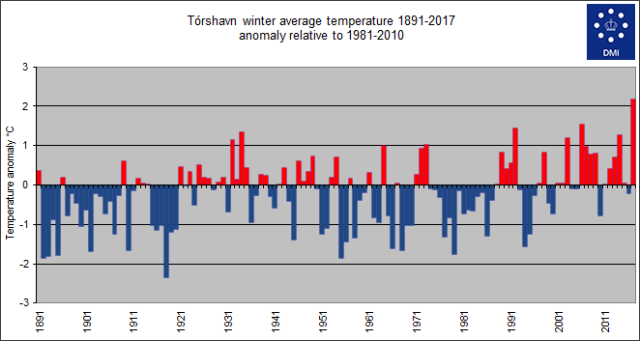 This past winter has seen the highest average seasonal temperature in its capital Tórshavn since 1890-91, the first year they were recorded. The results were buoyed by a record warm December that doled out an average temperature of 6.9 degrees. “The average temperature for December 2016 and January-February 2017 ended up at 6.1 degrees, which beat the previous record of 5.5 degrees set in 2006,” said John Cappelen, a climatologist with the national weather forecaster DMI. The average was a full 2.2 degrees warmer than the island’s 30-year level from 1981-2010, and in comparison Denmark’s average temperature this winter was well lower at 2.8 degrees. Cappelen explained that the historically low temperature was down to the mild air that moved in across the island for long periods from the west and southwest this winter. “Mild air from the North Atlantic is often associated with precipitation,” said Cappelen. It’s not the first indication that the north is heating up. Earlier this year, it was revealed that 2016 brought record-high temperatures to most of the east coast of Greenland. Below, see Torshavn’s winter average temperature from 1891-2017 (anomaly relative to 1981-2010).